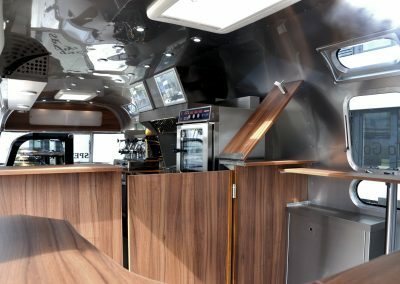 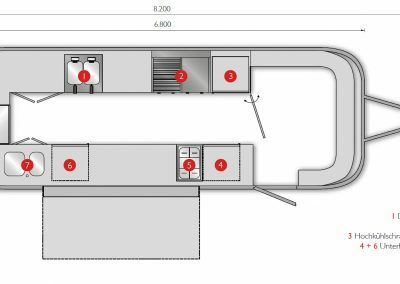 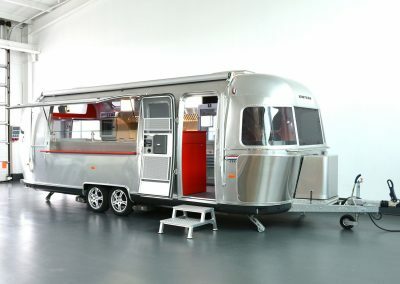 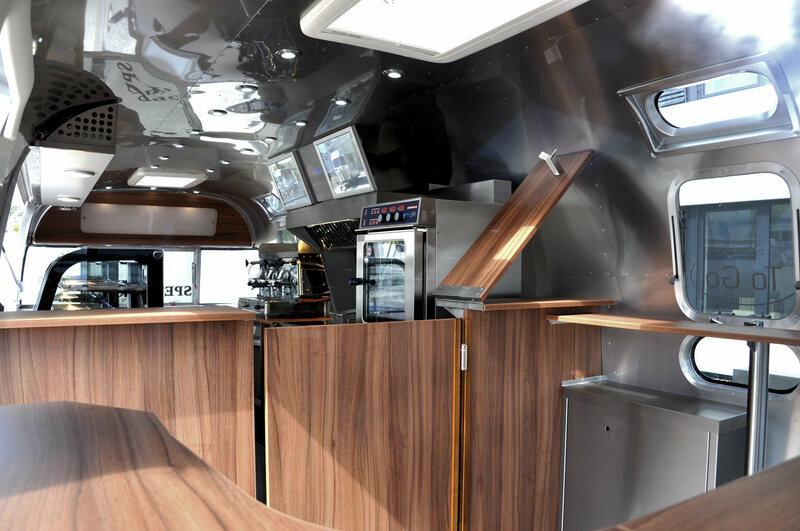 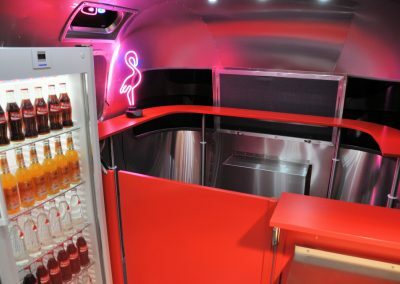 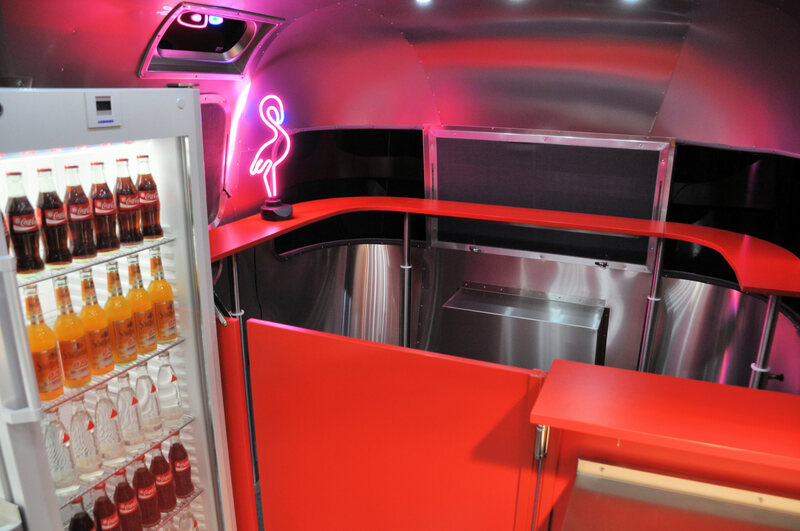 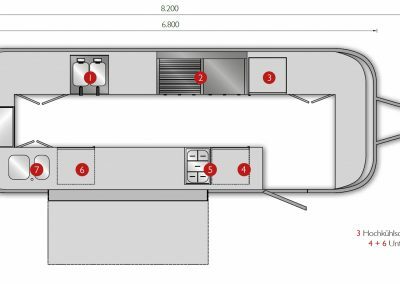 Spectacular 8.2 metres dimensions and 6.8 meters in body length make this airstream diner XL to approximately 17 square meters floor space. 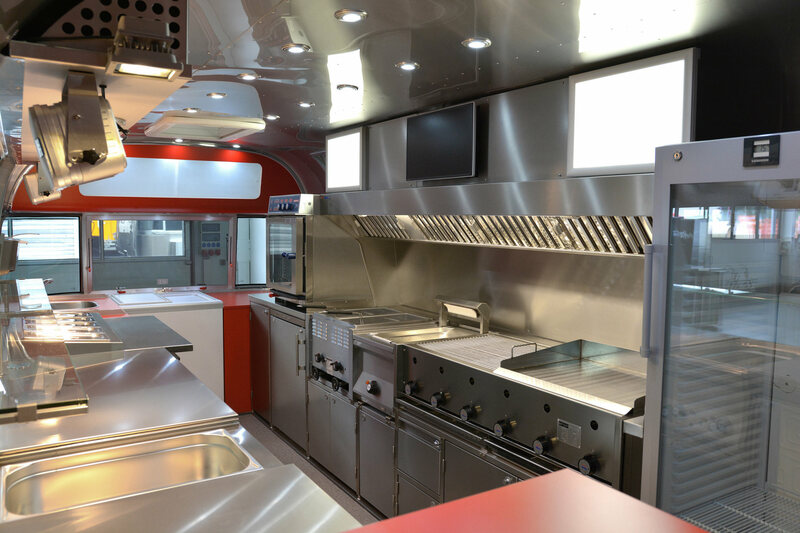 Enough space to set up a powerful professional kitchens as well as to provide your customers with a comfortable guest room. 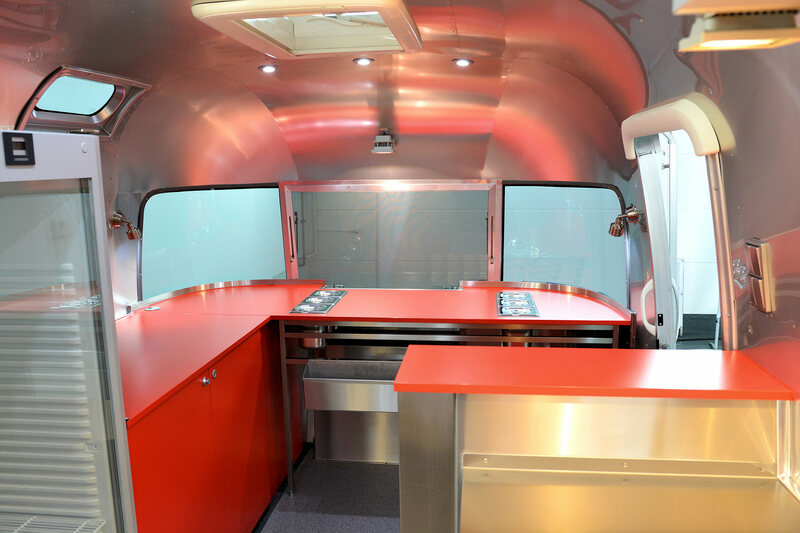 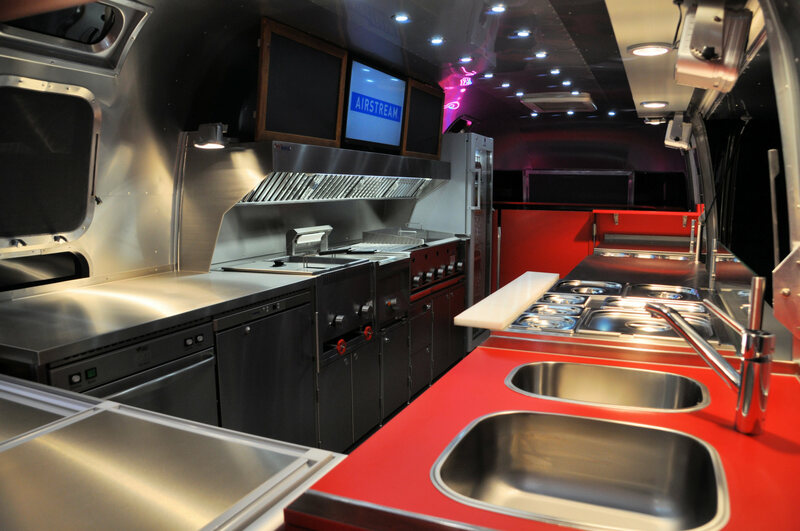 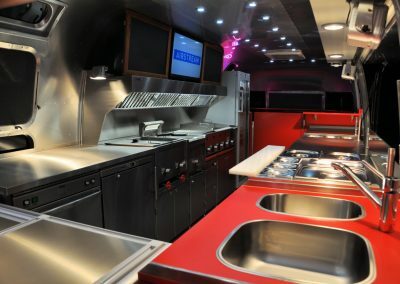 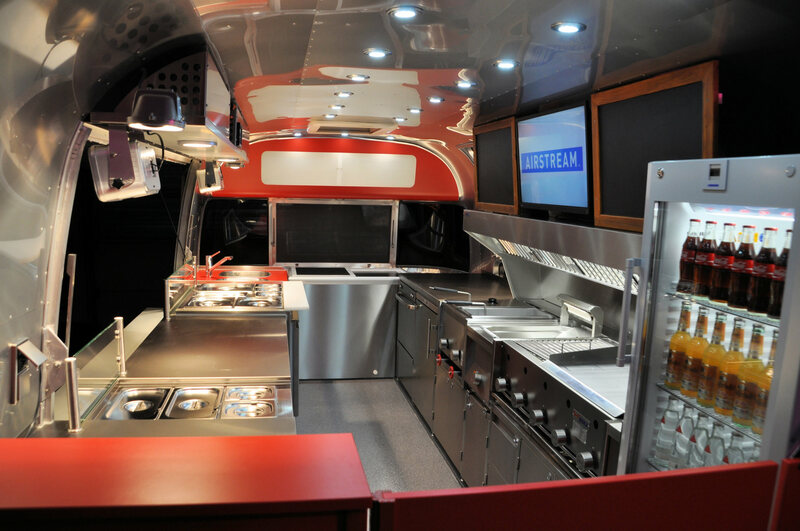 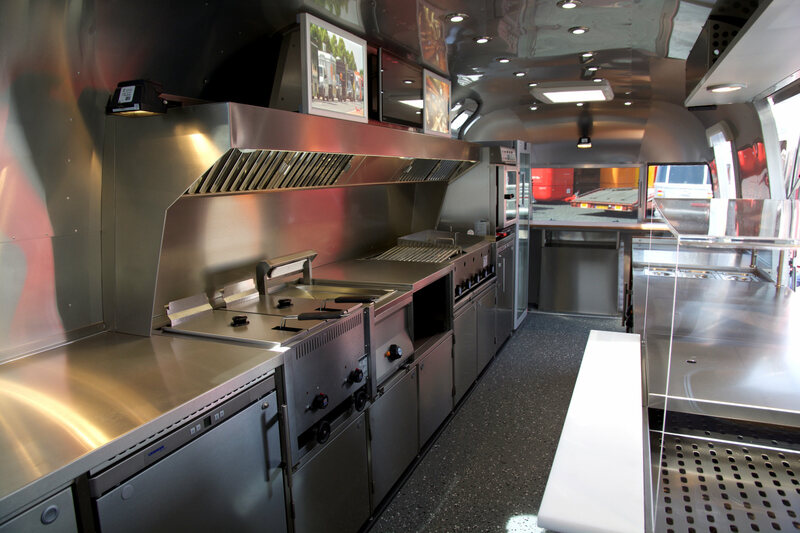 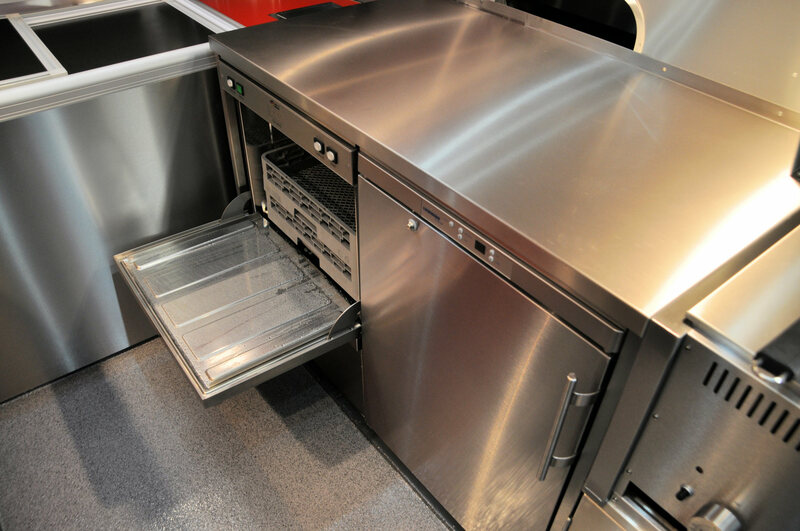 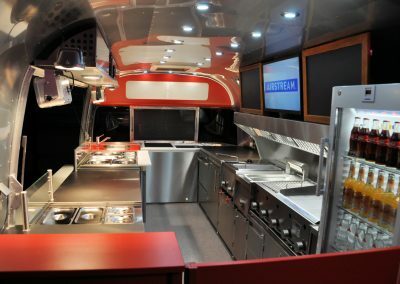 This Airstream Diner’s 8.2 meter total length, 6.8 meter body length and a 17 square meter floor area ensures ample space for a professional kitchen and dining area to accommodate your hungriest customers. 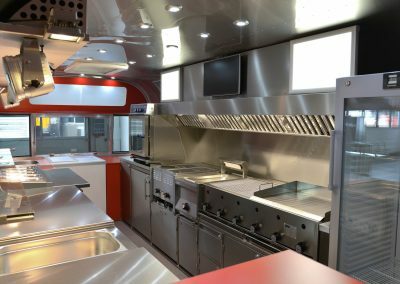 While sausages, burgers and other snacks are prepared in the rear kitchen area, up to 8 guests in the dining area and 6 in the service area can enjoy your tasty treats. 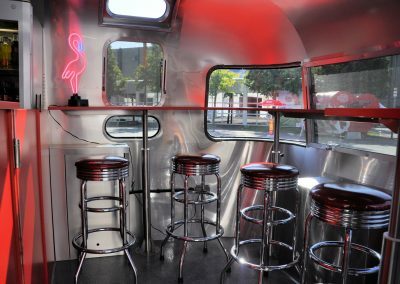 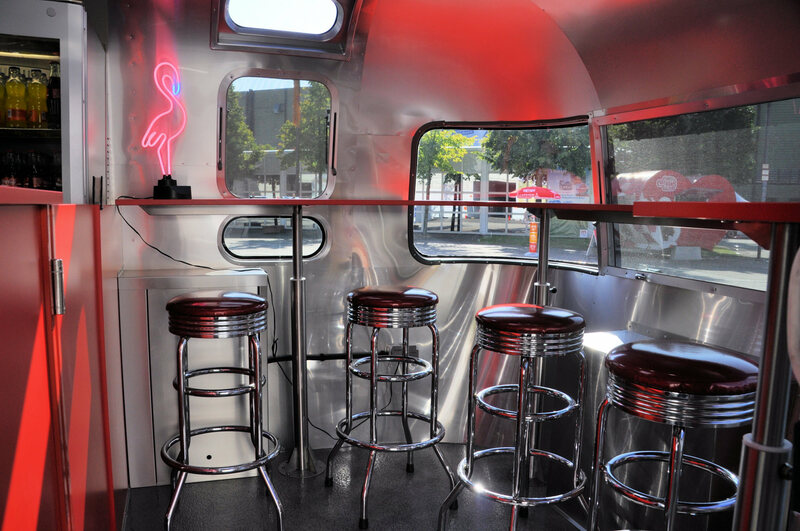 No matter the weather, Airstream Diner offers your guests an enjoyable and comfortable dining experience. 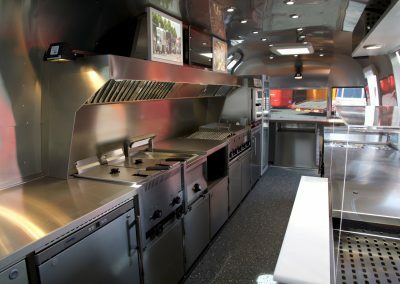 Alternatively, the front area can be equipped with additional countertops and apliances. 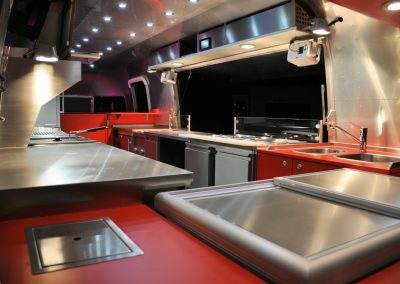 More Options available please contact our sales team! 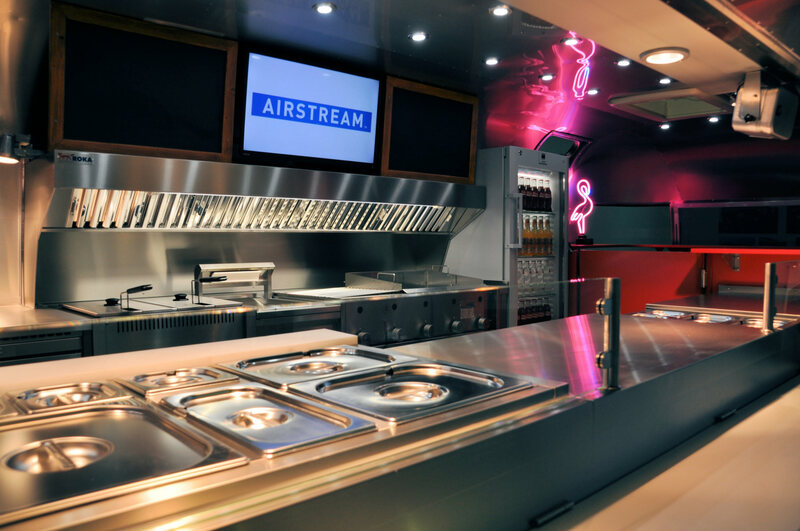 Airstream Diner XL with Guestroom starts at 112.500,- Euro net. 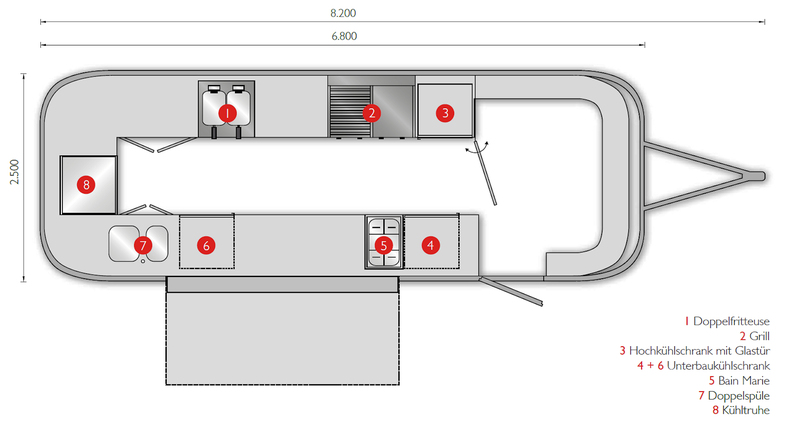 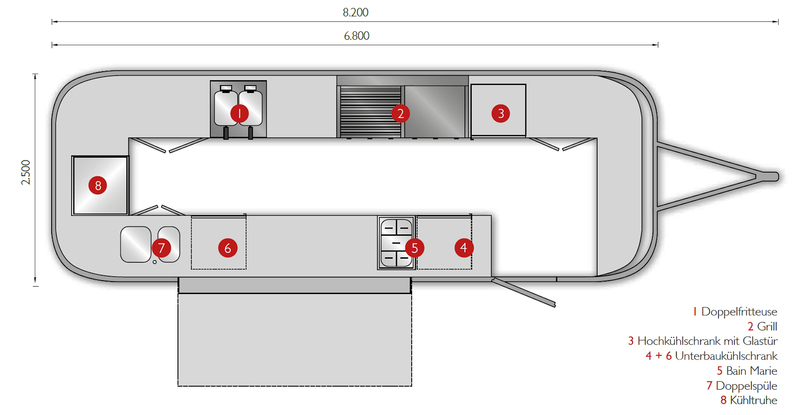 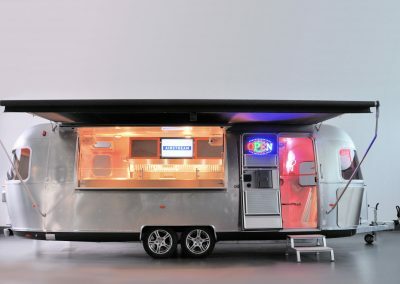 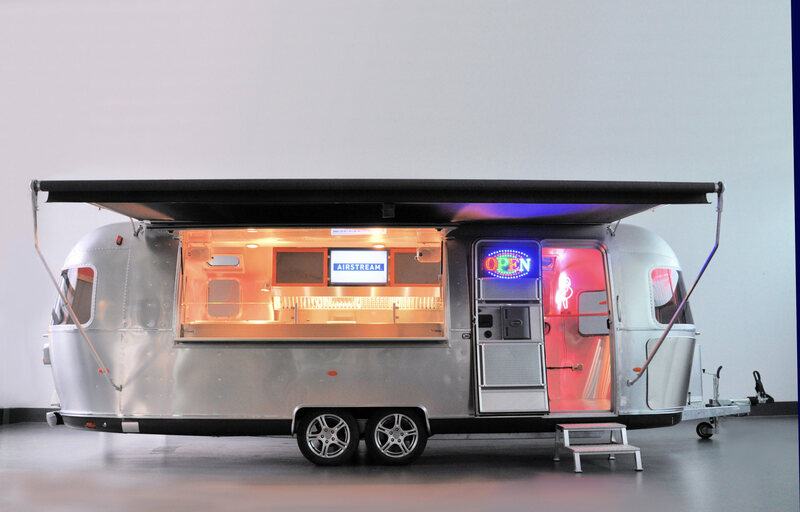 Airstream Diner XL with additional workspace starts at 113.662,- Euro nett.